After learning how to save myself from cancer I quickly learned what I needed to do for my daughter two years later when I was told she was in a coma and brain dead. To read more and see photos go to my blog. Cancer Doesn't Have To Be A Death Sentence! 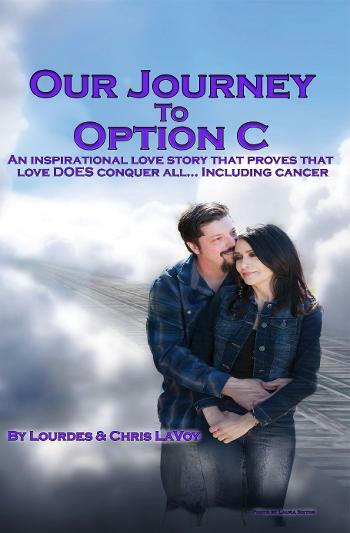 In this book Our Journey To Option C you will find the story of a very courageous couple and their struggle to fight her cancer with whatever worked best for her. It is an excellent read. You will encounter almost certain death, a desperate fight to survive and an indomitable spirit and will to win the battle. 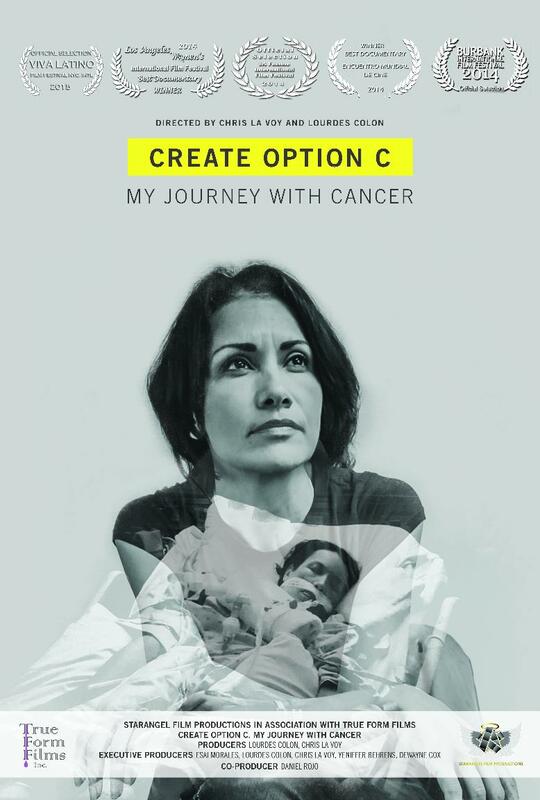 You will be encouraged to seek what is best for you in whatever your battlefield is, because Option C is not limited to only cancer or even only to disease. It is a guiding principal for any struggle or problem life may throw at you. You will be blessed by the courageous story that is written within these pages. Powerful New Way to FIGHT Cancer...PROBLEM SERIOUSLY Eye-Opening, New Info about Cancer... How You Can STOP Cancer (must-see new info) The problem with cancer ,We've ALL Got Blinders On. Same cancer… different day. There’s a huge problem… with cancer... and it’s probably not what you’re thinking at all. The problem is… We’ve all got blinders on. We’re all listening to the same old radio station playing the same old records, over and over again. Most of us aren’t even aware that other stations, and other music, exists. But they do. There are so many doctors, scientists and researchers, let alone cancer survivors out there that are all playing a very different tune than the one that we’ve all had to listen to. Our medical establishment owns the records, and the stations so all we get to hear is what they want to tell us. Poderosa nueva forma de combatir el cáncer ... PROBLEMA SERIO reveladora, Nueva información sobre el cáncer ... Cómo se puede detener el cáncer (que hay que ver la nueva información) El problema con el cáncer, tenemos todo venda en los ojos. Mismo tipo de cáncer ... diferente día. Hay un gran problema con el cáncer ... ... y no es probablemente lo que usted está pensando en absoluto. El problema es ... Todos tenemos venda en los ojos. Todos estamos escuchando la misma emisora ​​de radio de edad, jugando los mismos registros antiguos, una y otra vez. La mayoría de nosotros ni siquiera son conscientes de que otras estaciones, y otra música, existe. Pero lo hacen. Hay tantos médicos, científicos e investigadores, dejar que los sobrevivientes de cáncer por sí solos por ahí que están jugando una melodía muy diferente de la que todos hemos tenido que escuchar. Nuestro establecimiento médico posee los registros y las estaciones así que todo lo que conseguimos oír es lo que quieren decirnos. The only things that can prevent cancer is when we eat things that have phytonutrients and the only things that carry this are fruits, vegetables, grains, legumes, seeds and nuts. Everything else is likely to carry cancer causing substance like artificial colors and flavors, and GMO’s and sugar and so on. So if we want to avoid cancer or we are currently dealing with cancer then we need to get back to nature, so our bodies can cleanse out the junk that we have put in, and get us back to good health. DISCLAIMER: I, LOURDES COLON, AM NOT A MEDICAL DOCTOR. I DO NOT OFFER MEDICAL ADVICE OR DIAGNOSIS. TO SEEK MEDICAL CONSULTATION AND DIAGNOSIS YOU NEED TO SEE A LICENSED MEDICAL DOCTOR. ALL AND ANY ADVICE OR INFORMATION PROVIDED BY ME, LOURDES COLON, CREATE OPTION C, AND ITS AFFILIATES ARE PROVIDED PURELY FOR INFORMATIONAL AND EDUCATIONAL PURPOSES. BY BEING ON THIS SITE YOU AGREE THAT ANY INFORMATION PRODUCT OR SERVICES PROVIDED BY THIS SITE OR LOURDES COLON IS NOT LIABLE FOR ANY OR ALL MISUSE, ABUSE, OR LOSS INCURRED BY THE USER. YOU, THE USER, UNDERSTAND THAT YOU ARE SOLELY RESPONSIBLE FOR ANY AND ALL OUTCOMES EXPERIENCED BY THE USE OF THE INFORMATION, PRODUCTS AND OR SERVICES PROVIDED BY THIS SITE, LOURDES COLON, OR ITS AFFILIATES.